A warm welcome from the team at Excel, our dedicated, multilingual, multi-skilled team of London property specialists who speak your language, and understand your values. Whether you’re investing in property, selling, seeking relocation assistance, looking to buy or rent a flat in London or have corporate housing to let, there’s a difference you’ll quickly come to realise with the team at Excel Property Services: its people. The Team are close knit with a great range of individual specialised skills, local London property market knowledge and experience. But the overriding difference is that we all work cohesively in the best interests of everyone we take care of, sharing the core values we know our clients appreciate. Here’s where you can get to know us all a bit better. I was born and raised in North London and set up Excel in 1993. Before that I was involved in buying, selling and managing residential property in North West and Central London as far back as 1987. What is your main role at Excel? I guess you could say I’m ‘Chief Overseer’! I’ve been managing extensive residential portfolios for nearly 30 years and I think it’s important for our landlords to have constant reassurance that there’s a senior pair of eyes looking over their management contracts, which is what I do. I also work alongside landlords and investors to help them maximise their rental return and capital appreciation. This is all done through our high end service in property refurbishment. London’s premium neighbourhoods are prime locations for corporate tenants and embassy staff and make ideal homes for executives who have relocated from France and Japan. Houses in these areas call for the very best detail in finish and this is something we’ve come to do very well, and that I take great pride in. What would you say your clients value most? I would say the exceptional local London property knowledge I’ve built up over the years which allows me to help landlords and investors in making the right decisions. I’m pretty good when it comes to negotiations too! Born and bred in North London, I joined Excel in 1994 and was made director not long after that. I very much enjoy getting involved in networking and am a regular at property and business functions, seminars and breakfast clubs. What do you do at Excel? I head up our premium North West and Central London property sales department. 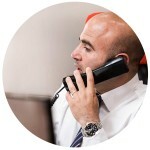 We’ve built up excellent relationships with investors and are also one of the Capital’s most highly regarded agents in the field of corporate home search and relocation services for overseas executives and embassy staff. Networking is one of the best ways to bring our sellers and potential buyers together and has always been one of our most successful ways of selling property in London. I’d agree with Kiri on the local London property knowledge being a key benefit, which as a native North Londoner I have plenty of, plus I think my extensive experience of handling the contractual side of negotiations is really appreciated by our investors. 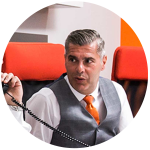 I’ve also got quite a track record in achieving the highest possible square foot prices across the Capital’s prime locations, which is something Excel has become highly respected for amongst London estate agents. The Multiple Sclerosis Society and Arthritis UK are two charities that are close to my heart and I am very much involved in fundraising for them. 10-kilometre runs and football tournaments are some of the more strenuous activities I’ve taken part in and, when I’m not feeling quite so energetic, you may see me taking part in a comedy night. I joined Excel in 2009 after gaining an engineering degree at Loughborough University. 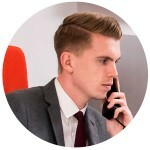 Over the first few years I got plenty of hands-on experience in property management and administration whilst building up close client relationships, a diverse network of contacts and a wide knowledge of the London property market. Like Kiri and Tas I’m North London born and raised, which has really helped with the local knowledge. I work closely with embassy staff, relocation agents and blue chip organisations, sourcing corporate tenants their ideal properties, always ensuring they meet with their personal and cultural preferences. It is also important to me to secure our landlords that-all important long term rental income and therefore peace of mind throughout the tenancy. I will do whatever it takes to assist corporate tenants and embassy personnel in finding the ideal prime London flats for rent. I’ll set up Skype tours for potential tenants to view properties from overseas ahead of their relocation and I’ve even gone as far as measuring parking spaces to make sure a tenant’s car will fit comfortably. It’s all part of the service! I also place a strong focus on understanding individual requirements – something Excel is known for – and I think this is a key reason our relationships have stood the test of time.